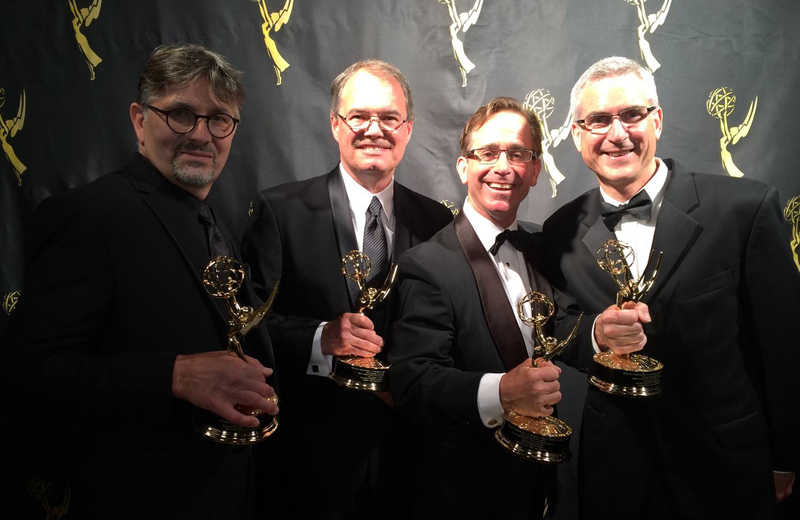 At the 44th Annual Northern California Emmy Awards on Saturday night, Becoming California was awarded an EMMY for Best Cultural/Historical Documentary. Its producer/director, Kit Tyler, also received an EMMY for Best Editing of a non-news program. Becoming California received nominations in four categories. The EMMY award is presented for outstanding achievement in television by The National Academy of Television Arts & Sciences (NATAS). “During the last five years, we had an amazing collaboration among a renowned team of scientists, educators, filmmakers, and musicians to craft this stunning broadcast film,” says Executive Producer and co-creator Jeffrey White. “I am especially honored to be a part of bringing the environmental themes and inspirational stories of Becoming California to broad and diverse audiences,” adds White. No one was more delighted to win the EMMY award than writers Kit Tyler and Richard York, who struggled to make sense of more than 250 million years of environmental change in California. “From conflict to reconciliation, Becoming California tells the story of environmental change in California in a fresh and hopeful way,” says Producer/Director Kit Tyler. “This award is a wonderful tribute not only to our vision but also to the immense effort of the California Environmental Legacy Project team,” adds Tyler. Included on the Best Documentary EMMY are Richard Tsai, Art Director and Animator, at Field of Vision, and Ron Chapple, Aerial Photographer at Aerial Filmworks. Becoming California is narrated by Academy Award winner Jane Fonda, with original music by Grammy-winning musician Pat Metheny. Since its public television premiere on KQED 9 (San Francisco/Bay Area) last September, it has broadcast on PBS over 200 times in 16 states. The National Science Foundation largely funded the documentary, with additional support from project partners and supporters. Congratulations to the team on this masterful contribution to help people understand many of the changes to the California area over time and to give thoughtful ideas and hope on ways to rebalance resources that may be in jeopardy.